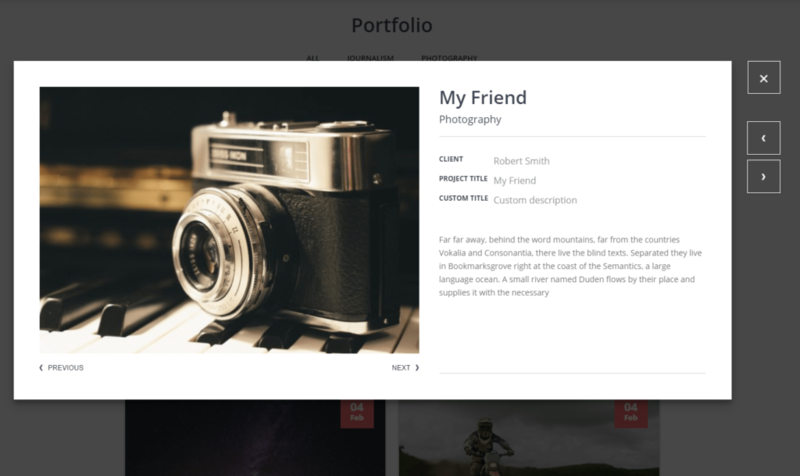 If you have installed all required plugins then this section will appear on admin page and you will be able to add portfolio posts which will appear on your homepage’s portfolio section. To create new portfolio post navigate to Portfolio ▸ Add New. Please select which image size to be shown on homepage’s portfolio section. You can upload the logo image for each portfolio item. You can put the outer link here. Select the checkbox if you want to disable the inner single page for this portfolio item. Select the checkbox if you want to disable the popup for this portfolio item. Using this option you can add several project fields to your portfolio item. 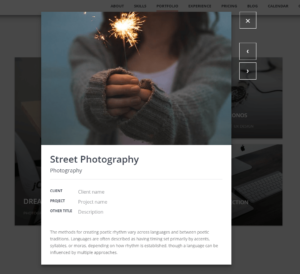 You can create portfolio post’s popup content here with image or video header.